Dan Gottsegen participated in the Under the Influence show in Fall 2016 at Village West. Gottsegen lives and works in rural Vermont. His work is influenced his ongoing wilderness wanderings and meditations. He often derives images from video that he shoots. In the "Die Wanderungen" series he combines and overlaps images improvisatorially. Said one curator, "Gottsegen develops a composition that allows for combining and compressing different moments, in the way that the mind wanders when walking in the woods." His work is praised by reviewers as poignant, meditative, and emotionally powerful. An earlier raptor series reflects his experience for over a decade trapping, banding, and releasing hawks in the Marin Headlands to study their migration patterns. His involvement in this study was born out of many powerful encounters with owls and hawks that he had been having for years. Gottsegen has exhibited nationally including solo shows at the Feick Gallery at Green Mountain College; Karpeles Museum in Santa Barbara; Sylvia White Gallery in Santa Monica; Prince Street Gallery in NYC; Whistler House Museum in Lowell, MA; Gallery Paule Anglim in SF; Soprafina Gallery in Boston; Patricia Sweetow Gallery in SF. He has been in numerous group exhibitions. He also has done a number of large-scale public art projects including windscreens for the Westminster, CO Station (on the light rail line from Denver to Boulder); the South Burlington, VT City Center Gateway; Inside and Out, A Public Art Plan for Dartmouth Medical Center; and the Vermont State Forensics Lab, a piece which combines Gottsegen's painting, a public garden and outside glass work. Gottsegen recently completed a two-month artist residency at Stiwdeo Maelor in Corris, Wales, UK. 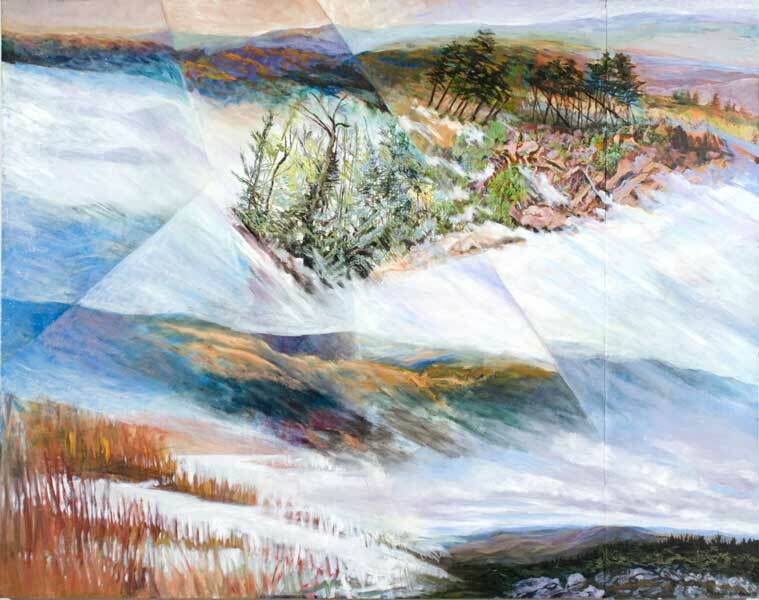 Among Gottsegen's awards are a VT Arts Council Individual Artist Creation Grant; "official juried" artist of the VT Arts Council; the University Teaching Excellence Award at UMASS; Affiliate artist at the Headlands Center for the Arts; a Nevada Artist-in- Residence grant, and residency at the Ucross Foundation. Gottsegen was an Associate Professor of painting at UMass/ Lowell, and taught for years at California College of the Arts in the San Francisco Bay Area (Full Professor). He has a BA from Brown University, and an MFA in Painting from California College of the Arts. For more information, please visit dangottsegen.com.